Egypt's Prime Minister Ibrahim Mahlab issued a decree on Wednesday to ban the National Alliance to Support Legitimacy and its activities in Egypt, in accordance with a court order from last month to ban the anti-government Islamist coalition. September's verdict, which also banned the Islamist Istiqlal Party, was based on a lawsuit filed by a former head of Egypt's state security court, Judge Amr Abdel-Rizk. Earlier the same month, the Court for Urgent Matters rejected a previous lawsuit to ban the NASL, arguing that the case was out of the court's jurisdiction. Khaled Said, the official spokesman of the NASL, told Turkish news agency Anadolu the court ruling is illegal and unfair, and insisted the alliance will continue its peaceful activities. A lawyer for the Istiqlal Party, Ashraf Omran, told Anadolu that the NASL had filed an appeal against the court ruling on Tuesday. The NASL – led by the Muslim Brotherhood and comprised of other Islamist parties and movements – was formed in July 2013 to protest against the ouster of Brotherhood president Mohamed Morsi that same month. Among the parties that have joined the coalition are the political arms of the Brotherhood, the Freedom and Justice Party, and Al-Gamaa Al-Islamiya, the Building and Development Party, along with the Watan Party, the Istiqlal Party and the Wasat Party. The Wasat Party, the most prominent party in the coalition, announced in August that it was pulling out of the NASL in hopes of being part of a wider political umbrella. The next month, the Salafist Watan Party also withdrew. Nageh Ibrahim, a former leading member in Al-Gamaa Al-Islamiya and a researcher in Islamist movements, told Ahram Online that he expects more parties to pull out of the NASL in the coming months, especially as the country moves closer to parliamentary polls scheduled for the end of the year. The street presence of the NASL – once at the forefront of anti-regime protests – has since dwindled at the hands of a prolonged security crackdown on Morsi's supporters and Islamist sympathisers that has left hundreds dead and thousands in jail. 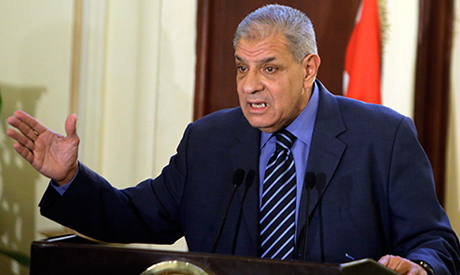 The ban on the coalition comes after the Brotherhood's political arm, the Freedom and Justice Party, was dissolved by court order in August. The Brotherhood itself was declared a terrorist organisation in December of last year. Most of the Brotherhood's top leadership, including Morsi, are currently in jail and facing trial on a range of charges, including espionage and inciting violence, some of which could carry the death penalty. Constructive positive direction, to eradicate the Muslim brotherhood terrorists and their organizations. Removing the Brotherhood cancer gives all of Egypt hope, to rise above the stone ages these barbarians infected Egypt with. Time to build for a prosperous Egypt.